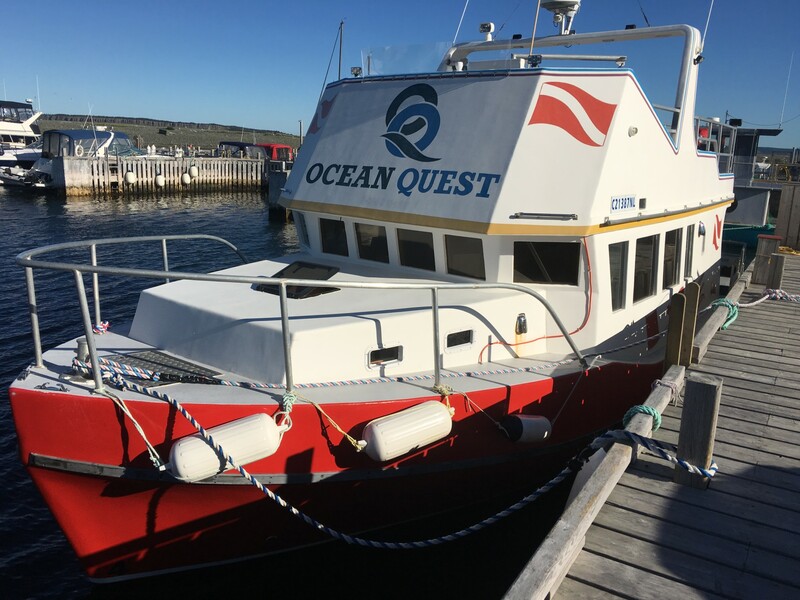 From the warm waters of Bonaire, I made a quick transition to northeastern Canada where I spent a week in Newfoundland with Rick Stanley, his wife, Debbie, and OceanQuest Adventures. 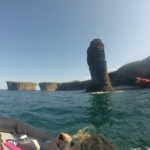 I had never before visited Canada, so I was thrilled to begin exploring right away with a snorkel around historic Bell Island. 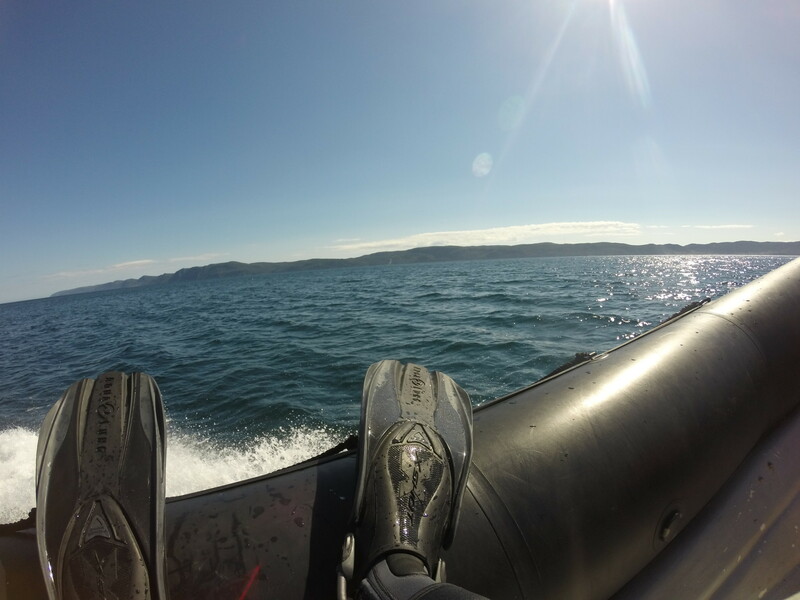 Rick took me out on his zodiak with a small group of snorkelers and brought us to all the best spots to check out. 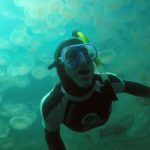 I explored the unique geography and cave systems the island has to offer as well as the marine life. 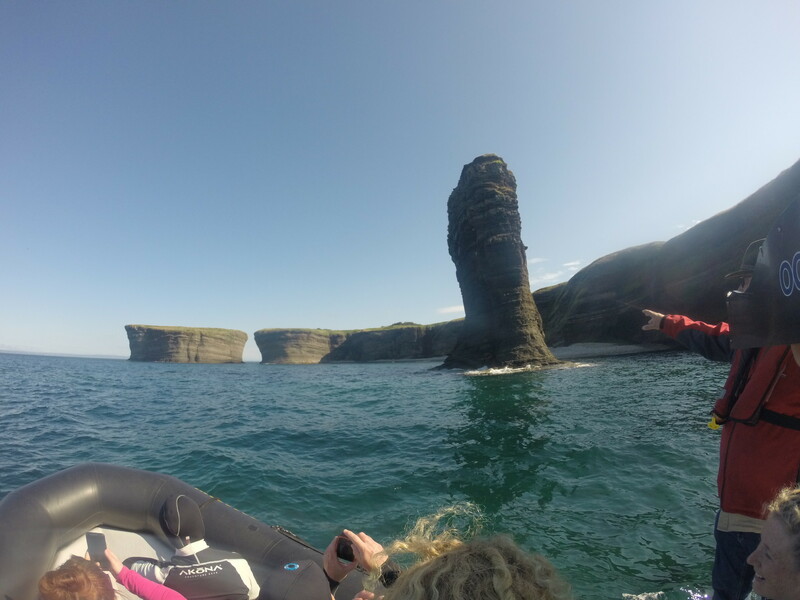 The next day Rick took me out to search for whales, Newfoundland’s iconic attraction. We saw two minke whales and a humpback from the surface, but could not get close enough to swim with them. Determined to find more, I went out the following day with Johnny O. of OceanQuest in search for more. We struck out again, but had fun exploring waterfalls and swimming with a bloom of moon jellies. 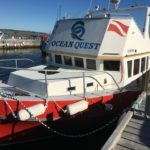 My time in Newfoundland was also full of regional and OceanQuest traditions. 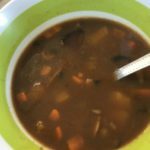 I tried pie-irons for the first time. 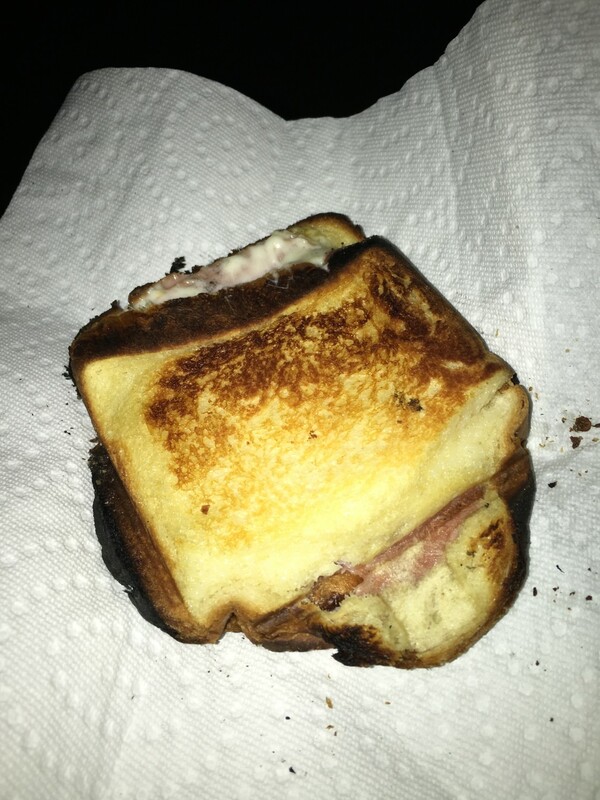 These are sandwiches cooked in a sealed, iron griddle over an open flame. 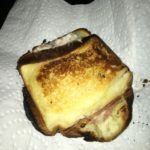 They were were delicious! 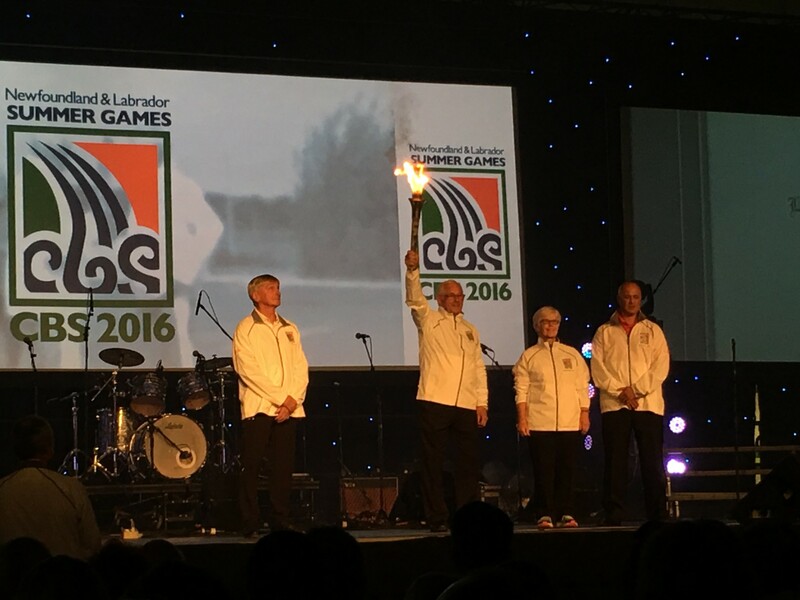 I also got to attend the Conception Bay South summer games opening ceremonies. 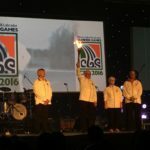 The games’ host city changes every year, so this was certainly a treat. 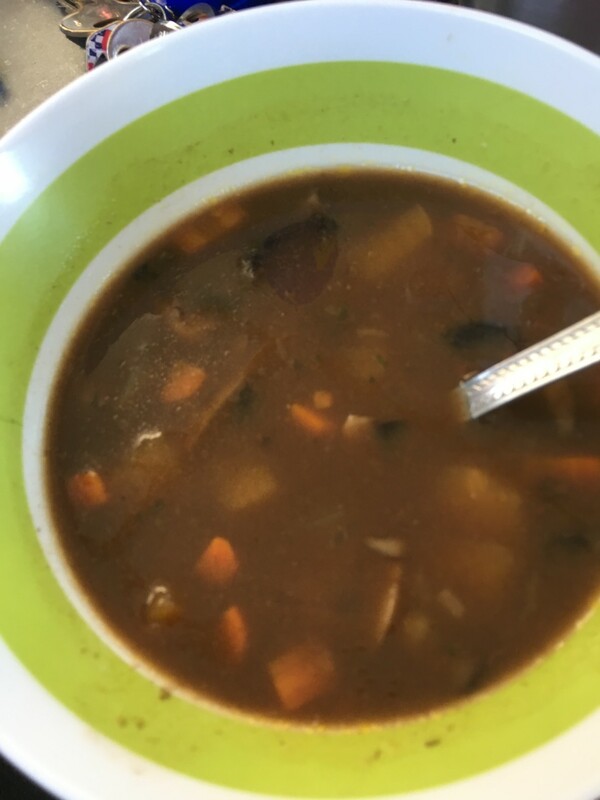 I also got to try a Newfoundland special: moose soup! 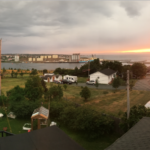 My trip to Newfoundland came to an end with an awesome sunset which I watched from Rick’s roof! Thank you so much, Rick and Debbie, for hosting me at your home and absorbing me right into your incredible family. I had so much fun up in Newfoundland trying new things, getting to know the region, and meeting new people. 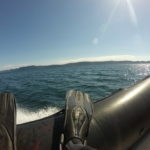 I hope to come back soon to spot some whales with OceanQuest and reconnect with you both. Thank you!